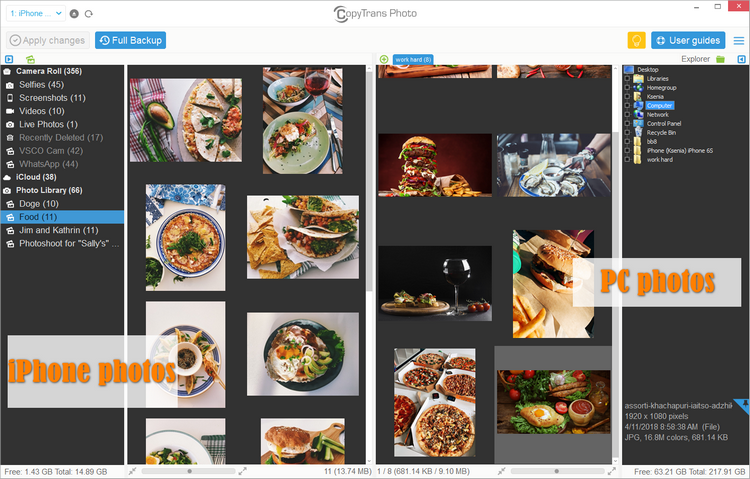 Home » How to delete photo albums from iPhone? Structuring our memories in albums is something we do pretty often. But when the moment to delete photo albums from your iPhone comes, people start looking for fast and elegant solutions. This article offers solutions to the delete any album from iPhone or any other iOS device. 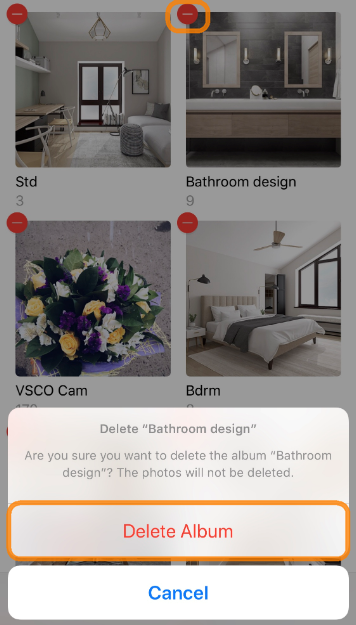 We at CopyTrans made sure that deleting albums on iPhone is smooth and fast – you can delete photos from an album and even an entire photo album from iPhone in as little as two clicks. Also, the solution is perfect to delete several photo albums from iPhone at once. Install the program. If you need help installing CopyTrans Photo, please refer to the Installation guide. Start the program and connect your iPhone. 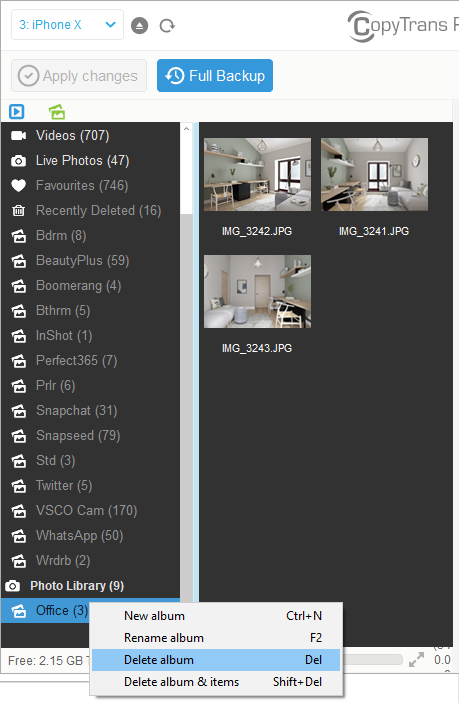 The device’s photo albums appear listed in the left-hand side of the main program window. Right-click on a photo album that you wish to delete and select “Delete album”. TIP: If you want to delete certain pictures from the album, follow our deletion tutorial. Confirm deletion by clicking “Yes” on the prompt message. Click on the “Apply changes” button at top of the CopyTrans Photo main window. The photo album is now deleted from the iPhone. 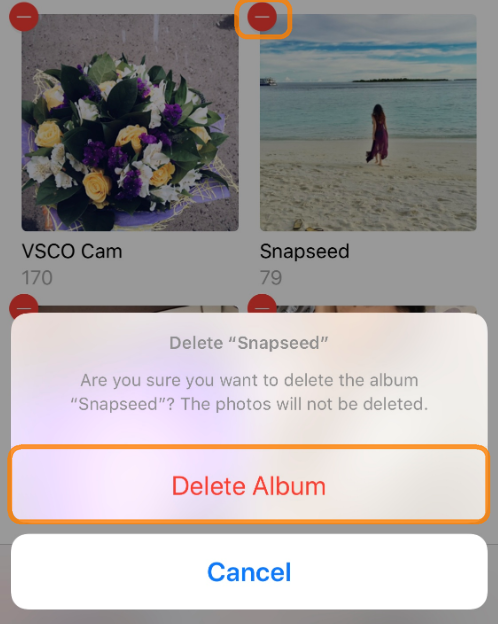 Due to an iOS limitation, you can delete photo albums on the same device they were created. CopyTrans Photo is not able to delete albums created on iPhone. To delete such albums, refer to the method described below. On the iPhone, open the Photos app and make sure that you are in the “Albums” view. At the top-right, click on See All and tap “Edit” on the next screen. You can only delete albums created on the iPhone by following this method. The remaining albums will be greyed out. You can delete such photo albums with CopyTrans Photo as described above. Some apps like Snapchat or Instagram automatically create albums in your Camera Roll. If you don’t want to have them around, deleting them is easy! Just like in the previous method, go to your Albums view in Photos app and click See All. In there, browse to your albums and tap “Edit” in the top-right corner. To delete, simply tap on the red “-“, just like with usual photo albums on your iPhone. If you don’t want to lose the photos from those deleted albums, make sure to back them up to your computer.